Will Your Church Teach the Truth? The Church of England, according to a report by The Telegraph, appears ready to condemn so-called “controversial cures” and therapy for homosexuals. This follows a recent statement by Prime Minister, Theresa May, saying they could be banned. “The General Synod will vote on a motion to endorse a statement by psychology experts that conversion therapy, which uses methods including prayer and aversion therapy in an attempt to stop people being homosexual, is ‘unethical, harmful and not supported by evidence’”. While some conservative members will oppose the motion, it is expected to pass. This vote by the general synod is just one more move in the direction of giving full acceptance to a homosexual lifestyle, contrary to the teaching of the Bible. The inspired apostle Paul wrote to a sexually perverse culture in Corinth in this plainly worded passage. I wonder what position the Archbishops and the Church of England would take on fornicators? Adulterers? Thieves? Or extortioners? Should they change? May they continue to practice their sins and be right with God? Can they change? Including those who engaged in homosexual behavior? The Bible says they can. Paul continued by affirming. But there is a bigger issue at stake here. Will the church teach the truth? Will the church where you attend teach God’s truth? Not just on the practice of homosexuality, but any spiritual or religious issue? 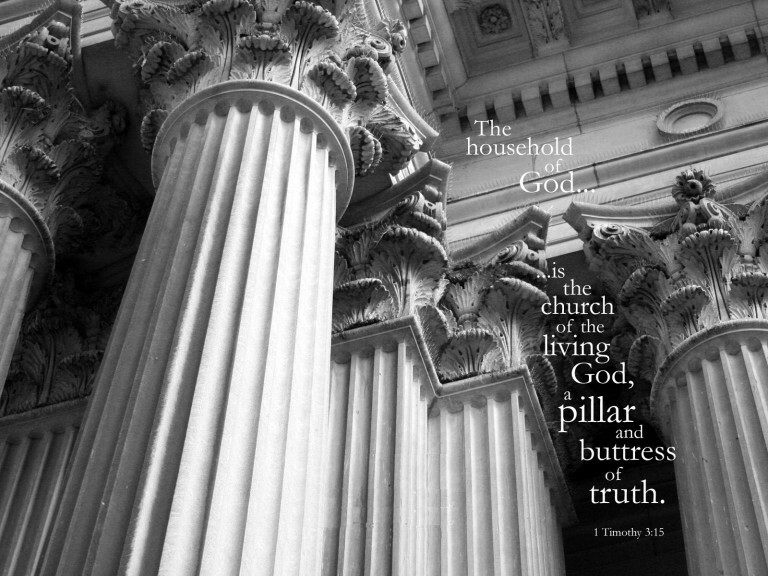 The Bible says that the church is “the household of God.” It is “the church of the living God.” And as such, it is to be “the pillar and ground of the truth.” (1 Tim. 3:15). “The idea here is that the Church’s duty,” Barclay affirms, “is to hold up the truth in such a way that all men may see it. The Church is the buttress of the truth. The buttress is the support of the building. It keeps it standing intact. No church has the right to vote on Truth. Change Truth. Amend Truth. Or silence Truth. All attempts by the Church of England and other religious groups to conform to culture are an affront to God who revealed His Word one time. For all time. And for all people (Jude 3). Preachers, pastors, and Bible teachers need to be telling saints and sinners alike the Truth. Yes, we must “speak the truth in love” (Eph 4:15). But we must speak it. The call to our culture hasn’t changed. The clarion cry to “repent of your sins” needs to be heard from pulpits worldwide. Preach on brother! Truth is for all people for all times, Leaders of the catholic church or any other religious organization will not change God’s view of sin or change truth. Ps. 86:11 Teach me Your way, O LORD;I will walk in Your truth;Unite my heart to fear Your name. Jn 17:17“Sanctify them in the truth; Your word is truth. I Tim2:4 … God our Savior,… who desires all men to be saved and to come to the knowledge of the truth. TRUTH!